Giardiasis is a re-emerging infectious disease with outbreaks reported globally specially in children and malnourished individuals leading to malabsorption, growth retardation, and severe diarrhea. Thus, in the present study, prophylactic administration of synbiotic as the functional food was used to assess its antigiardial potential in malnourished murine giardiasis. 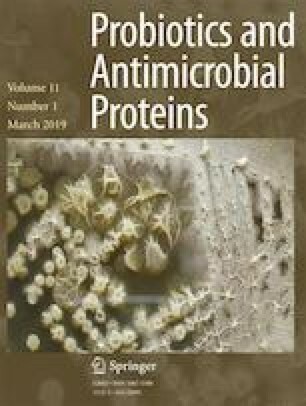 Interestingly, prior administration of synbiotic (Lactobacillus casei + inulin) even to malnourished-Giardia-infected mice led to increased body mass, small intestine mass, lactobacilli counts, and reduced severity of giardiasis as evident by decreased cyst and trophozoite counts. Synbiotic therapy further boosted the innate and acquired immune response resulting into increase in nitric oxide, antigiardial secretory IgA and IgG antibody levels along with IL-6 and IL-10 cytokines, and decreased levels of inflammatory TNF-α cytokine in both serum and intestinal fluid in malnourished-synbiotic-Giardia-infected mice compared with malnourished-Giardia-infected mice. More specifically, histopathological and scanning electron microscopy analysis of the small intestine also confirmed the modulatory potentials of synbiotic in malnourished-synbiotic-Giardia mice which had less cellular and mucosal damage compared with severely damaged, mummified, and blunted villi in malnourished-Giardia-infected mice. Taken together, this is the first experimental study to report that prior supplementation of synbiotic restored the gut morphology and improved the immune status of the malnourished-Giardia-infected mice, and could be considered as the prophylactic adjunct therapy for malnourished individuals. Authors greatly acknowledge the help provided by Mr. Mohan Singh Bhandari, Senior Technician, Postgraduate Institute of Medical Education and Research (PGIMER), Chandigarh, India, for maintaining the Giardia culture. Financial assistance provided by the Department of Science and Technology-Purse, New Delhi, India is highly acknowledged.